Results from the 2017 Big Farmland Bird Count (BFBC) recorded a total of 112 species with 22 Red List species spotted across the UK. The fieldfare, starling, house sparrow, song thrush and yellowhammer were all counted in the top 25 commonly seen species, despite appearing on the Red List for birds of conservation concern. 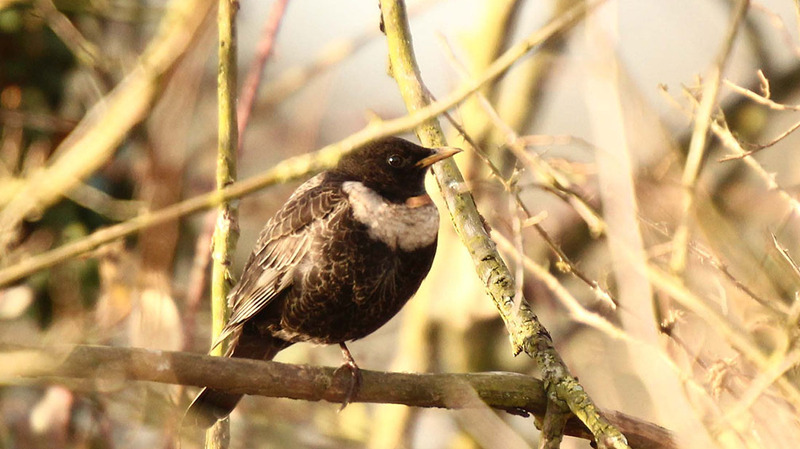 The results highlighted fieldfares and starlings were seen on over 40 per cent of the farms that took part. Jim Egan, head of development at Game and Wildlife Conservative Trust (GWCT), said Red List species needed urgent action. He said: “To help these species, there are several options for farmers in terms of management. The yellowhammer took 21st place in the most commonly seen birds, with just under 5,000 recorded on 312 farms. Farmers also spotted 1,951 tree sparrows on their combined 172 farms, making it the 40th most seen bird. 1,786 skylark were also recorded on 143 farms. Mr Egan championed the response from 975 farmers, with most returns from Suffolk, Norfolk, Herefordshire and Yorkshire. This exceeded the number of farmers in previous years. Specie of bird spotted the most remained consistent with previous BFBC's, with the woodpigeon, starling, fieldfare and rook taking the top four spots. Mr Egan added: “This is an opportunity for farmers to see the results of all their hard work. Rob Gladwin, head of business development and sustainability at Crop Protection, sponsor of the BFBC, added: “It is great to see the work that farmers are already doing to encourage the range of species seen during the count. “There are some really simple measures such as nest boxes for Tree sparrow; extended grass margins for Yellowhammer and spring cropping for Skylark. The Big Farmland Bird Count 2018 will run from February 9-17.